This is Sawyer in his wheelchair at a special needs playground playing softball. Each player had a companion who helped them when they needed assistance. They used such extreme caution, they wanted each child to feel safe, welcome and successful. My heart goes out to all the young people who worked with each individual with such special attention and the compassionate care they gave these young people..
How we came up with the title of our Project 327. Read these words from the Bible. How and Why this site was named Project 3:27 inc.
Sawyer, in the wheelchair, was born in 2010 and life for this family changed. Sawyer has grown as his extended family, his Doctors and the Therapy Center worked with him daily. He has participated in various kinds of therapy including several sports with adaptive rules, since very early in his life . Why the Name Project 327? 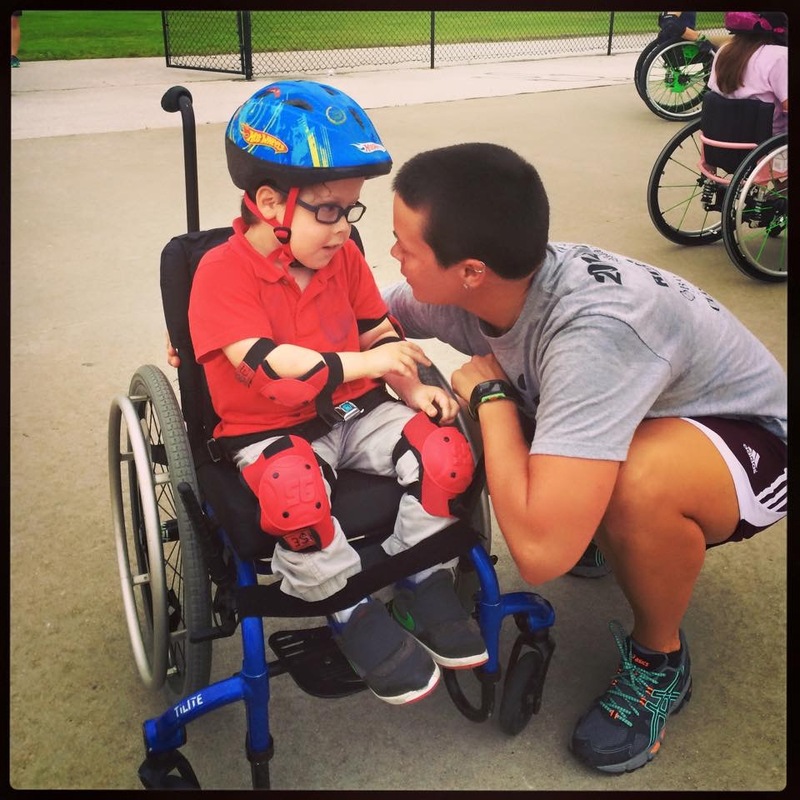 Project 327 took root in founder Jeremy and Shanna Smith as they had their child in therapy as Sawyer was struggling with his spina bifida condition. His family knew it was a great effort to be in therapy four times a week at various times. They observed a lady with three children, two handicapped,(one in a wheel chair), and they had no transportation. They really had empathy for them. They gathered friends, neighbors, and members from several churches, and others to get a van, repair it and present it to the lady and children filled with Christmas gifts and other needed items. This was done in secret. The therapy center got calls requesting to be on the "car needed" list. The Smith's saw such a need for some help. They began the long road to getting a nonprofit status. Geneva Bowlin joined them in this effort and in 14 months the long awaited non-profit status was received.